Are you an expat or just staying in one location in Spain for more than a couple of months? Do you have small children? If the answer to these questions is YES then I have great news for you! You don’t have to be a Spanish citizen in order to enroll your child to a public kindergarten or preschool. Moreover if your child is older than 3 years old it will be absolutely free and if under 3 it can be still free thanks to government financial aid programs. 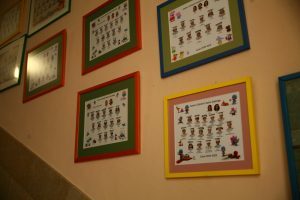 Read the following section to find out more about how the public preschool system works in Spain, how to find a school and when to enroll, what papers you need in order to get accepted as well as, read about our personal experience with preschool in Granada, Spain. Preschool in Spain. How does it work? Even though compulsory education in Spain starts at the age of 6, many parents enroll their children to preschool, sometimes from as young as 4 month old. First cycle for children between the ages of 0-3. Even though the first cycle of preschool is not free, there are financial aid programs that help families cover the cost of preschool partly or fully. The full price per month is 284 euros. The first cycle of preschool is taught in separate nursery schools (escuelas infantiles or guarderías). The second cycle is for children between the ages of 3-6. This cycle is often considered as an integral part of the education system and is free for everyone. The second cycle is taught at primary schools. There are also a variety of private schools that take children between the ages of 2-6. The arrangements are very flexible for kids this age, meaning that parents can choose hours of attendance (morning, afternoons, all day or selective days, with lunch or without lunch). While you can take your child from school at any time, public schools, age 0-3, have only one price no matter your circumstances. If you don’t qualify for financial aid and only need half-day care for example, private nursery school for ages 0-3 can be cheaper than the full price at the public preschool. There are two ways to enroll your kid for the next school year. For children who already attend a preschool and want to secure a spot at the same place for the next year. This period is usually the last two weeks of March and you have priority over new students. For kids entering a new preschool. This period usually lasts the whole April. However, don’t get discouraged if you have just moved to Spain and/or missed the enrollment month. 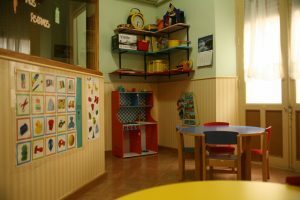 You still can find a preschool that has an available spot for your child! We moved to Spain in October and found a preschool rather easily, however we were still in process of getting our papers in order (from residency permit to registering in health system) so we couldn’t enroll Lia yet. 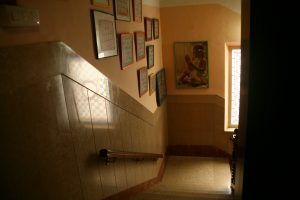 Our documents were finally ready in mid-February and I was worried that we wont find a place, yet we still managed to find a preschool that had few available spots. Lucky us! Also I would recommend to visit the preschools in person since calling may results in answers such as “Come enroll your child in April and she/he will start in September” as it happened to us when we tried to call to couple of establishments. You can attend any preschool you want regardless of your home address. For Andalucía there is a website that lists all the schools (preschools as well as primary schools) in the selected city. You just need to type the city you are interested in, for example Granada, Seville, Cordoba etc. and click buscar. We personally didn’t like the website because of its horrible design and awful user experience. Instead we simply used Google maps to find a preschool in walking distance from our house. Type “Escuela infantil” to facilitate your search. So, you found a preschool that you like! Congratulations! Next step, papers! One picture of your little one. Passport sized photo worked for us. Note: If you have never lived or worked in Spain before and you have never paid taxes in Spain, you can provide your proof of income from another country. We submitted our USA tax forms in English and it was fine, however we wrote a letter in Spanish attached explaining what numbers meant what. We were enrolling Lia for her first cycle of pre-school therefore we needed to show proof of our income to see if we will receive any help from the government. Since we just moved to Spain we were not even in the Spanish tax system and it wasn’t possible for them to check our income in their system. Thus our next step was to go to Delegación de Economía y Hacienda de Granada (Av. de la Constitución, 1, 18001 Granada, Spain), where we filled out a couple of forms and got registered in the system. Later the following week this office sent our school an email saying that we have to bring other papers to prove our income. We showed our tax form from the year 2015 (since Lia attends a school year 2016/2017). No bank statements needed only monthly/yearly income. In couple of days we received the call from our preschool saying that all the papers went through and we are good to go! We also received 50% of financial aid from the government so we pay now only 140 euros per month! All in all the bureaucracy lasted about 2 weeks. Keep in mind that the process can take more or if you are lucky less time. Lia is now a 22 months old toddler. 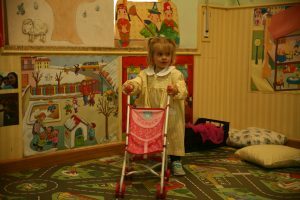 We feel that for her age she is already too independent and absolutely in need to play with other children. She also doesn’t experience separation problems or any sort of anxiety if we leave. That was a sign for us that she is ready for kindergarten. Once all the papers went through, we had a meeting with our teacher, Jesus, the nicest man ever! We talked about Lia’s schedule, her food preferences, her nap times, how does the school work etc. The rest of the week, Lia stays at preschool till 1.45 pm. Then we pick her up and go home where she takes her nap. This schedule works perfectly for us! I really like our preschool! Its premises, staff and stuff/toys are simply fantastic! Located in the city center, just 10 min walk from our house; it couldn’t be more convenient for us. There are so many small schools in the city it will be easy to find one near you. The rooms are full of natural light and spacious with a lot of different toys. There is also a massive terrace where kids play when it is nice outside. Since this preschool is located in the city center there isn’t a yard or garden, so having an open space terrace is a big plus! I am also really happy about food options at the preschool. The menu rotates every week and children always have fruits, vegetables, meat and fish on their plates. I hope you find this post helpful, if you have any questions, please comment below and I will try to answer to my best ability. Hi Liliia, thanks SO much for writing this. We’re also a traveling family, with our one daughter, now almost 4 yrs. We typically spend 1-4 months in each place, and when we’re in the US, she attends a Mandarin/Spanish/English preschool. We’re planning on going to Spain again in the next year, most likely Granada (as our other top choices do not primarily speak Spanish). Last summer she attended a private preschool in Barcelona for the one month we were there (a great school, although they mostly spoke Catalan, and therefore my daughter couldn’t communicate with her peers. I could not find a Spanish speaking school in the city). My question for you is since we we’ll only be there for a few months, I don’t know if we could claim residency or be eligible for escuelas infantiles at the public schools? I don’t know how to find out, how to find which school (just the closest one to the AirBnB home we’ll be staying at? ), or if I should go the private school route (which again, not sure how to find the best one)? I’d like to get this sorted soon, rather than trying to do it once we’ve arrived, wasting time from her to be immersed in the school there. Hello Erin, I am so happy that this post helped you! 🙂 Made my day, honestly! So your option would be a private preschool and there are a lot of them here in Granada! 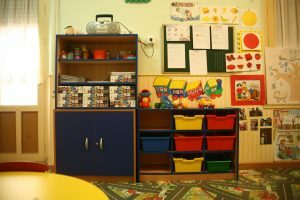 To find a list of preschools in Granada ( or other city in Andalucia) check this website http://www.juntadeandalucia.es/educacion/vscripts/centros/index.asp The layout is not the best one being honest however you can still figure it out. Just put Granada and click buscar, then you ll see the list of preschools, the ones where it is said PRIVADO are private ones, and you can google them and see their website (if there is any) or reviews. https://www.facebook.com/groups/parentsgranada/. One of the moms was just asking recently about private preschools and she has received a lot of recommendations and suggestions! Let me know if the links dont work, I can send them to you through email. One more thing, when do you guys plan on coming? We are planning to rent our house this Juky-septemeber/October because we are going on a road trip around Europe. Just thought what if you guys are coming exactly these months:)) we have a house in central granada with terrace and two bedrooms two bathrooms. Hi Liliia! Thanks for this post! We are moving to Granada in May with our two toddlers. We are coming from the US but my husband has a EU passport. Do you know if it will it still take 1-2 months for us to be registered? Do we have to have a Spanish bank account before we can rent an apartment? It seems that we might need an address before we can have a bank account!! A lot of chicken and the egg! I look forward to reading some more of your posts! Excited for you! I hope you like Granada, we loved it a lot! As for your questions, to be registered shouldnt take much time if you rent an apartment that had people living there before. In order to get registered you have to provide bills for water and electricity, if you have those (and you’ll have if somebody lived in the apartment), you will be registered the same day. To rent an apartment, i dont think it is obligatory to have a spanish bank account. Just a european account might suffice.In case you have only an american one, it will charge you a lot for transactions and it is not beneficial for you. We had the same problem so we simply asked our landlord to pay in cash the first month. Also we found it being a problem if you work with an agency. Retail agents are so old fashioned and reluctant to anything that is done “not like in Spain”, so I would suggest you guys to find directly an owner of the apartment to whom you can explain your situation. Try fotocasa.es to find an apartment. Also we realized that the ads are not well updated so just look out for the newest ones. And to open a bank account shouldnt be difficultt if your husband has a European ID ( not just a passport). Let me know if you need more help or advices. I ll do my best:) Wish we could meet you guys in Granada but we are traveling till the end of the year now.